the stories they produce become a new people’s history of action research, with potential for influencing new futures. The book is a valuable addition to the literature on research methods in education and nursing and healthcare, and professional education, and contributes to contemporary debates about the generation and dissemination of knowledge and its potential influence for wider social and environmental contexts. Practitioners across the professions who are planning action research in their own work settings will find this book a helpful introduction to the subject while those studying on higher degree courses will find it an indispensable resource. Part I. What do we know? 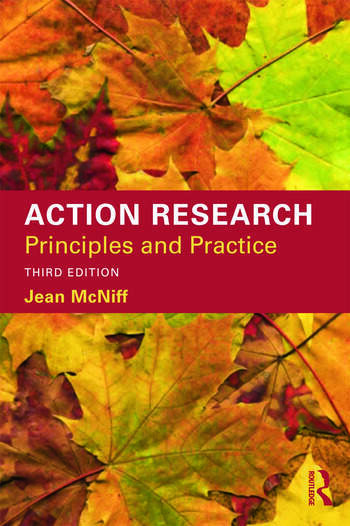 The principles of action research Chapter 1. What do we know? The principles of action research Chapter 2. How do we come to know it? Linking theory and practice Chapter 3. Who has influenced our thinking? Key theorists, old and new Chapter 4. What do we need to know? How can we develop the work? Part II. What do we do? The practices of action research Chapter 5. How to do action research Chapter 6. Practical issues Chapter 7. Making sense of the data and generating evidence Chapter 8. Validating and legitimating claims to knowledge Part III. How do we share our knowledge? Stories from the field Chapter 9. Action research across the disciplines and professions Chapter 10. Action research for social change Chapter 11. Action research and communities and cultures of enquiry Chapter 12. Action research for global sustainability Part IV. What is the significance of our knowledge? How do we communicate it? Chapter 13. Producing and presenting action research reports Chapter 14. Demonstrating impact: Explaining the significance of our action research Part V. Whither action research? Chapter 15. New directions in action research Chapter 16. So …what do we know now? What do we need to know? Jean McNiff is Professor of Educational Research at York St John University, UK. She also holds visiting professorial positions at Beijing Normal University and Ningxia Teachers University, People’s Republic of China; the University of Tromsø, Norway; and the Nelson Mandela Metropolitan University, South Africa. She has written widely on action research in education.